Julie and I made a promise to each other and still talk about it all the time. Seeing so many of our friends get divorced for such shallow reasons makes us sick, especially when kids are involved. Since we met in 2001 and married in 2003, we have had a wonderful, balanced, easy going relationship. We have fun, we have the same values and beliefs, smae friends, and we love being parents and being together. This week we celebrated our 8th anniversary. Here’s to another year behind us and many more in front. I love my wife and I know she loves me. What else could anyone want in life? G.I.G. Three years ago Julie and I were experiencing life on the other side of the planet in South Korea getting ready to bring our son Quinn Seong Wook home to his forever family. It was a fast paced dash of seeing and learning some of the culture. It was truly one of the greatest weeks in our life. We cannot wait to go back with Quinny and the gang in tow. 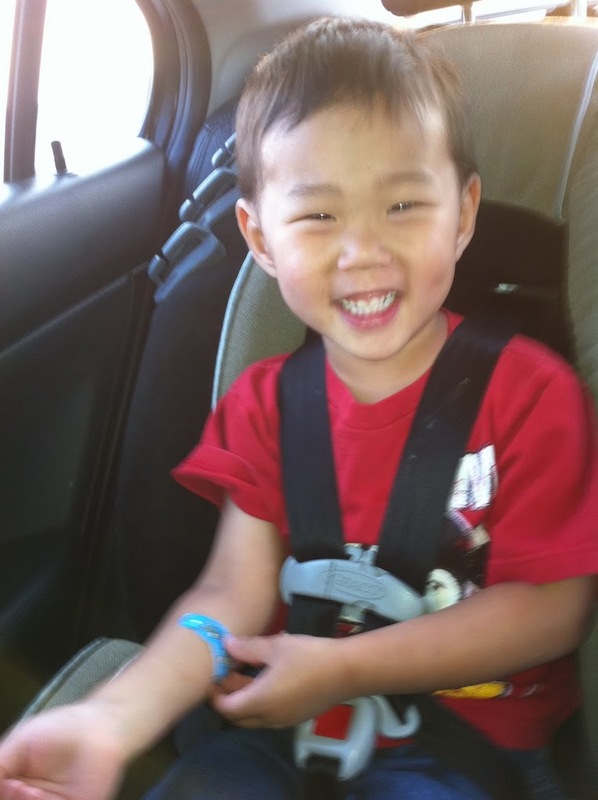 We fell in love with this little boy the moment we saw him on our adoption agency’s website. We quickly learned his nickname was “Mr. Smiley” and that smile was exactly what our family and life needed. Quinn “the pooh” is one of the cutest, fun loving little boys in the world. Sure he has his moments, but he truly is one of the happiest little boys I’ve ever seen. God is so good to allow us to be his forever family surrounding him with even more love from our friends and family members. People always say “He is so blessed to have you”. Boy, how wrong they are. We are so blessed to have him!